Our Grass Fed Beef Jerky (Teriyaki flavor) is minimally processed using only the finest cuts of grass fed beef and simple ingredients. Our delicious Teriyaki Beef Jerky is made by hand in small batches. Jerky makes a great snack to take on a camping trip, hiking, long car ride or to work. Beef jerky is also a good source of protein and low fat. From our farm to your table, car or backpack. 100% Satisfaction Guarantee. Important Allergy information: Teriyaki contains (or may contain) wheat, soy, corn, rice or potato (used as thickener). 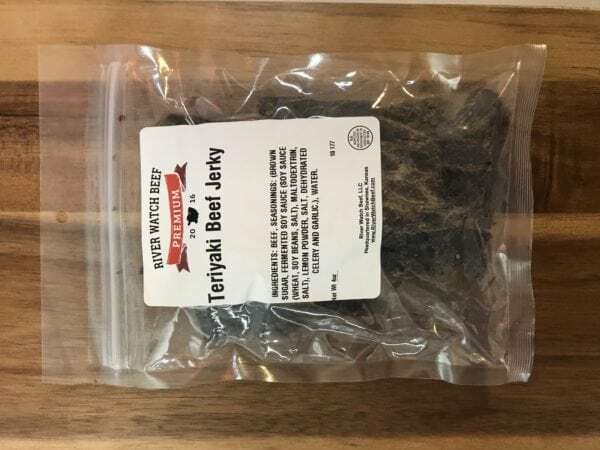 Simple ingredients: Beef, seasonings (brown sugar, fermented soy sauce (soy sauce, wheat, soy beans, salt, Maltodrextrin), lemon powder, salt, dehydrated celery and garlic, water. Asian-inspired teriyaki with a savory flavor. Allergy Information: Teriyaki contains (or may contain) wheat, soy, corn, rice or potato (used as thickener). 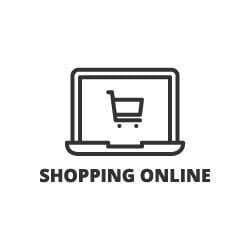 Shipping: Free shipping with any purchase of $49 or more. Or, $3.95 Individually (flat rate, up to 2 bags). Not available in AK or HI. About Our Grass Fed Beef: Our family has been producing quality Grass Fed Angus Beef for over a decade in Colorado and Kansas. 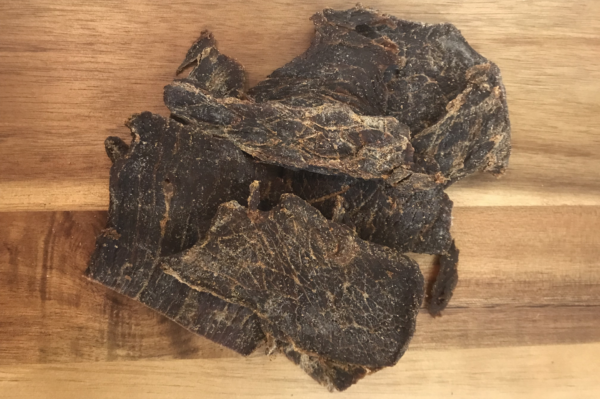 We’re now offering our ‘small batch’ grass fed beef jerky for sale. We’re headquartered in the Kansas City metro area (Shawnee, Kansas). Explore our other Grass Fed Beef Packages or Join our Grass Fed Beef Club and receive premium beef delivered each month. Premium Grass Fed Beef Jerky (Teriyaki Flavor) – Our Grass Fed Beef Jerky (teriyaki flavor) is made with select cuts of the finest grass fed Angus beef. Important Allergy information – Teriyaki contains (or may contain) wheat, soy, corn, rice or potato (used as thickener). Minimally Processed in Small Batches – Our Grass Fed Beef Jerky is minimally processed and made in small batches. Natural Ingredients – Our Grass Fed Teriyaki Beef Jerky is made with all natural ingredients. No BS. True Farm-to-Table (or backpack) – Our premium beef jerky is direct from the producer. True farm-to-table (car or backpack). Free Range Grass Fed Beef – Our grass fed beef is pasture-raised and free range — not raised in a crowded, dirty feed yard. Conveniently Delivered – Save time, gas and the avoid checkout lines at the store. 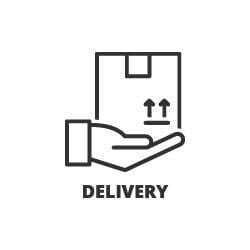 We conveniently deliver hand-selected grass fed beef jerky direct to your door. 100% Satisfaction Guarantee – Our jerky is 100% guaranteed. If you are not happy, we’ll make it right. Headquartered in Kansas City (Shawnee, Kansas) – We are based in Kansas City (Shawnee, Kansas to be more specific), a town known for excellent beef. Now, you can have gourmet Kansas City style beef jerky delivered to your door. Join Our Grass Fed Beef Club (monthly subscription) and Save – Subscribe to our Grass Fed Beef Club and receive quality beef each month, plus Free Shipping! Shipping: Free with any order over $49. Or, $3.95 Individually (up to two bags). Not available in AK or HI. You will receive email confirmation once shipped. Orders ship on Monday-Tuesday for Thursday-Friday delivery. Place your grass fed beef jerky order through our secure website. Add Jerky to any order at no additional shipping cost. You can also place an order via phone (800) 373-5210. 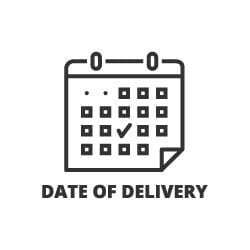 We’ll schedule a delivery date and confirm your order details and customization options via email. Then we hand-select each bag of beef jerky just for you. 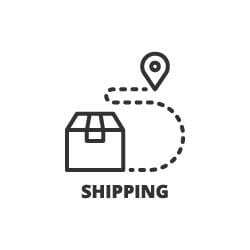 We ship our grass fed beef jerky right to your door. Once shipped, we’ll provide additional tracking information. Your premium grass fed beef jerky is conveniently delivered to your door (or gift recipient). We guarantee that you will be satisfied, or we’ll make it right!